Social media is a competitive landscape and can make or break a company's marketing. Social media usage in the U.S. has increased 356% in six years. But are users seeing your updates, or your competitors' updates? 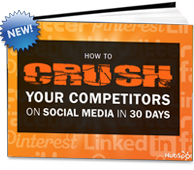 Are you using social media more effectively than your competition?